It is not necessary to have a interest in the telegraph to appreciate the life and career of Franklin Pope. It is only necessary to have an interest as to why this one man influenced so many electricians, engineers, and telegraph operators during the 19th century. Why did his writings find their way into the libraries of most of these individuals? Why was his opinion so valued by some of the largest companies in the U.S.? In researching electrical related technologies in the U.S. during this era, it is common to see a reference to Pope. His career as a telegraph operator, inventor, engineer, writer, explorer, artist, patent attorney, historian, and consultant provided him with a lifetime of experiences necessary to earn the reputation of a true expert. This one time business partner and mentor of a young Thomas Edison emerged from the telegraph industry to become one of the most respected electrical engineers in America. In 1886 he was elected the second president of The American Institute of Electrical Engineers. Franklin Leonard Pope's roots are in Great Barrington, Massachusetts. 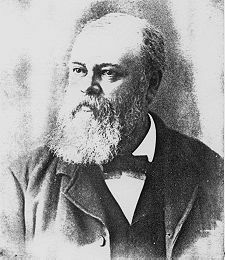 Born on December 2, 1840, he grew up with an interest in the mechanical devices of the day and was equally interested in drawing pictures of what he saw. This talent to draw and describe was utilized throughout his life. As a boy he earned his spending money by drawing sketches of locomotives that passed nearby along the Housatonic river and selling them to railroad engineers and firemen. His earliest exposure to the telegraph was in the late 1840s when a line was run through Great Barrington connecting Bridgeport, Conn. with Bennington, Vt. When he was 17, The American Telegraph Company constructed a line down from Pittsfield, Mass and opened an office in Great Barrington. Frank Pope, considered best suited for the job, was recruited to be their operator. Two years later, The American Telegraph Co. transferred him to Springfield, Mass where he became the circuit manager for their wires associated with the Boston and Albany Railroad. In addition to his proficiency in Morse, he was also considered an expert printing telegraph operator. In late 1859 there was a consolidation of several competing telegraph companies which caused the lay-off of some local operators. Pope, who was retained, voluntarily resigned his position in order that a fellow operator, who had a family, could keep his job. At age 20, he moved to New York seeking new employment. 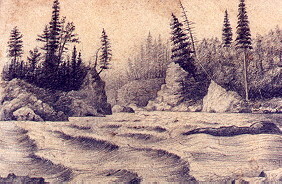 A long time subscriber to The Scientific American, along with his interest in drawing, he applied for the position of an artist with the magazine. 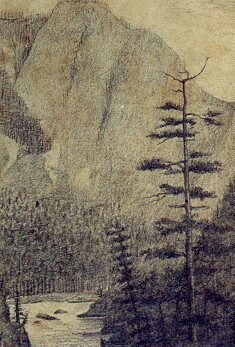 He was hired and worked for two years as an artist, later, becoming one of their writers. With the magazine's extensive coverage of recently issued patents, he was able to gain valuable experience related to the workings of the U.S. patent system. With the outbreak of The Civil War in 1861, experienced telegraphers were again in great demand. Pope accepted a position as an operator, stationed in Providence, R.I. again working for The American Telegraph Company. In his spare time he continued to utilize his drawing skills by creating detailed maps and drawings of American's system between New York and Boston. These detailed drawings of the lines, routes, and instruments caught the eye of Marshall Lefferts, engineer-in-chief for the Company. He transferred Pope back to New York, promoted him to assistant engineer, and gave him the assignment of tracing the company's entire system. During the war, this consisted of all their lines and offices between Maine and Virginia. During this two year assignment, Pope created maps and drawings of every route, the types of insulators, the exact placement of the wires on the poles and the instruments and batteries that were used in each and every office. This extensive exposure to a telegraph system in such a short period of time gave Pope a unique experience base to draw upon in the future. One of Lefferts' goals in giving Pope this assignment was to standardize the instruments used by the Company. With all the recent acquisitions, there was a mixture of instruments in use, built by various makers. Utilizing Pope's information, this may have be the first evidence of a plan to standardize the instruments used in the offices of a large telegraph company. On July 13, 1863, riots broke out in city of New York protesting the enforcement of the federal Conscription Act that drafted men into the Union Army. 105 people were killed during the riots. Rioters cut down American Telegraph Company lines to Boston preventing critical war-time communications between the two cities. Marshall Lefferts directed Pope to try and reestablish a circuit to Boston. Pope, with his intimate knowledge of the routes, disguised himself as a farm laborer and took a portable telegraph instrument, along with some tools hidden in a bag of oats, and headed out to find the problems. Pope found multiple breaks in the line along a 15 mile segment between New Rochelle and the Harlem River. Under the cover of darkness, but with the threat of attack by armed drunken rioters patrolling the lines, Pope made temporary splices to the downed line and ran it along bushes and low trees. He kept pieces of the original line hung from the poles to give the appearance of a downed line. By daylight, Pope had pieced together a temporary circuit to Boston. The heading from The Telegrapher, April 24,1865, designed by Franklin Pope to be symbolic of telegraphy. come to life again, as they wearily drag themselves home from a night's exhausting work. caused by news from the [ Civil ] war can understand the pictured scene at the left." The National Telegraphic Union was formed in 1863 made up of telegraphers from across the country. Pope was their New York district secretary. They published a very popular magazine titled The Telegrapher. The magazine proved to be a telegraphers only link to recent developments in the industry. Franklin Pope had a long association with the publication as a writer, artist, and editor. In early articles his work was signed under the pseudonym, "Electron." The average telegrapher in the field came to rely upon Pope's ability to explain seemingly complicated new systems with clear and practical descriptions. In 1864 the board of directors of The Western Union Telegraph Company were concerned about Cyrus Field's failure to establish a reliable telegraph connection to Europe via a cable under the Atlantic ocean. The alternative was to connect San Francisco with Moscow by constructing a line overland from near Vancouver, British Columbia, through Russian America ( Alaska ), beneath the Bering Strait, then overland again through Russia and on into Moscow. From there, all western points into Europe could be reached. This undertaking was considered equally as challenging as laying the Atlantic cable. Most of the route was never charted before. 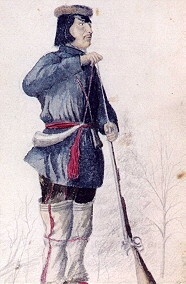 With the Russian government committed to do their part by extending their system east from Moscow to their Pacific coast, Western Union organized the Western Union Russian Extension Company (Collins Overland Telegraph Expedition) with the intentions of constructing a line to meet the Russians. This project also received encouragement from President Lincoln; " with the cordial good will and support as well of this government as of those of Great Britain and Russia." 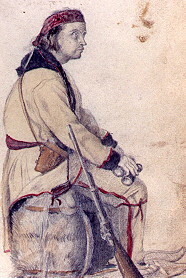 Franklin Pope was appointed Assistant Engineer and Chief of Explorations in British America. His responsibility was to survey the route from New Westminster, BC** to the Yukon River approximately 1500 miles. Portions of route were intentionally explored during the harsh winter months -- the snow allowed their sleighs to go over the dense underbrush. "New Westminster, British Columbia, is situated on the Fraser River, about 15 miles from its mouth. It is the capital of the colony, and the terminus of the California State Telegraph (Company). The line of the Collins Overland Telegraph will also commence at this point..."
Correspondence by Franklin Pope to "The Telegrapher," June 13, 1865, from New Westminster, B.C. All drawings and sketches by Frank L. Pope.
" ....we set out on our journey into the unknown wilderness, with no guide but the compass, and the certainty that the river Stikeen lay at an unknown distance to the northwest. Our greatest difficulty was caused by the depth, and more especially the lightness of the snow, in which the dogs would sometimes struggle for an entire day, with merely their heads above the surface, we drawing the load ourselves, and sometimes even carrying the dogs on our backs, when they were too much exhausted to move." In August of 1866, the line was operational to the Skeena River, approximately 500 miles north of New Westminster, BC, when construction crews received the news over their own telegraph line that Cyrus Field's recent attempt with the Atlantic cable was a success. The directors of The Western Union Company officially halted operations of the overland project in March of 1867 and absorbed the entire cost which was over 3 million dollars. The charts and maps Pope created before and during the expedition were considered by leading geographers of the day as the most accurate ones in existence for that portion of the world. Upon his return to New York, Pope continued to make illustrated contributions to The Telegrapher. He became the superintendent of the Gold and Stock Reporting Telegraph Co. where he improved and modified an instrument invented by S.S. Laws which reported changes in gold prices to the offices of about 140 New York area brokers. During the year of 1868, Pope began working on what was to become his most noted literary work. Pope's attempt was to provide a complete handbook for the average American telegrapher and electrician to use in the field and for aspiring students. With great expectations, the first edition of The Modern Practice of the Electric Telegraph was published in May of 1869. It immediately received glowing reviews from both the industry and the general press.
" We know of no other work of the kind so well adapted as this is to all who desire to become intimately acquainted with the wonderful science of the electric telegraph....The New York Herald "
" Your illustrative diagrams are admirable and beautifully executed.....I think all your instructions in the use of the telegraph apparatus judicious and correct, and I most cordially wish you success.....Samuel F.B. Morse "
The first edition sold out in four weeks. As of 1895, it went through fifteen editions and was published in multiple languages. It was adopted as a text book by the United States Signal Service. Pope's clarity of description and the use of his own practical experiences helped readers understand basic principles. In the following excerpt from his book, Pope explains to student telegraphers in 1869, the importance of the time ( spaces ) between the dots and dashes, that when properly combined, create the alphabet and words used in the language of Morse.
" The value of these spaces should be carefully impressed upon the mind of the learner. Beginners are apt to conceive that the Morse alphabet consists solely of dots and dashes, and this misconception has a tendency to greatly increase the time required to become good " senders". Uniformity and accuracy in spacing is of no less importance than in the formation of the letters themselves. The foundation of perfect Morse sending lies in the accurate division of time....."
a telegraph line in his book. By 1869, Pope was nationally recognized as an established telegraph engineer. During that spring, a 22 year old Thomas Edison made an important contact in New York by involving Franklin Pope with experiments of his new Double Transmitter. 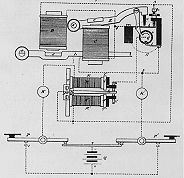 Edison's transmitter allowed two communications in opposite directions at the same time on a single wire. Just prior to Edison's permanent move from Boston to the New York City area, Pope and Edison conducted tests and modifications to the transmitter together in New York. Edison then traveled to Rochester, N.Y. to test the transmitter over a 400 mile segment of a line belonging to the Atlantic and Pacific Telegraph Company. It appears that Pope remained in New York in order to operate the instruments at the other end during these tests. In the summer of 1869 Pope resigned his position with G&S Reporting Tel. Co. and by the fall became partners with Edison and James Ashley, editor of The Telegrapher, forming the electrical engineering firm of Pope, Edison & Co.. Edison, who had recently moved from Boston, had very little money to his name at this time. He boarded at Pope's family home in Elizabeth, New Jersey. Pope also lent Edison his daily spending money, as little as fifty cents a day at times. Together they formed two companies during their partnership. The Financial and Commercial Telegraph Company and The American Printing Telegraph Company. Pope and Edison jointly filed for patents in printing telegraphy during this period. Three printers were invented to be marketed by their companies. The first two printers, also known as stock tickers, were intended to provide gold and stock quotations in the New York area. The third printer, " The Pope and Edison Type-Printing Telegraph ", was intended to be used on " private lines ", lines transmitting messages other than commercial quotations, for " individuals and business houses ". Their American Printing Telegraph Co., according to 19th century author, James D. Reid, was the first company to get involved in this business. The award winning printer they designed for this application was intended to be operated by anyone. It consisted of a printing mechanism with a circular dial containing the alphabet and figures, a polar relay, and two telegraph keys. Pressing one key would simultaneously advance the transmitting and receiving dials one step at a time, using one polarity of current. Once the appropriate character desired was in position on the dial, the other key was pressed generating the opposite polarity and activating the printer. Although it was slow, it was very effective and was sold to various businesses on the east coast and in the San Francisco area. Both companies were eventually absorbed by the Gold and Stock Telegraph Co., which essentially dissolved the Pope, Edison partnership. In the early 1870's Pope patented some of his important inventions in the field of railroad signaling. One of them was his semaphoric block signal system that was adopted by several railroads. In this system, Pope created circuits out of segmented rails that were separated by small pieces of hardwood. The rails were connected to various relay schemes utilizing local batteries and telegraph relays, which included duplex and neutral types. They were connected in such a way as to signal to remote semaphores, over telegraph lines, the approach and passing of trains that traveled within a particular section or " block" of track. Pope's inventions were marketed by The Electric Railroad Signal Company in New York where he was listed as their engineer. Also during this same period Pope was in business as a manufacturer and dealer in telegraph instruments and supplies operating under the name of F.L. Pope and Company. Both companies operated from the same address at 38 Vesey St..
By 1875 Pope became a counselor and patent expert for the Gold and Stock Telegraph Company. He was one of the first to specialize specifically in electrical related patents. He was recruited by Western Union's president William Orton, at a salary of Pope's choice, to hold a similar position with that company. There were few patents worth anything in the telegraph industry that Western Union did not control. Pope had the enormous responsibility to defend Western Union's patent rights and to secure patents that would be beneficial to the company. 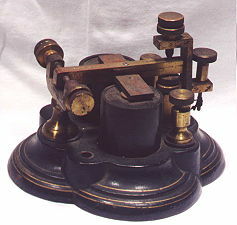 Telegraph Sounder by F. L. Pope & Co.
Beginning in the 1880's, Pope set off on his own and conducted business as a patent attorney and consultant. He assumed the editorial management of the magazine, The Electrician, changing its name to The Electrician and Electrical Engineer, and finally to The Electrical Engineer. He was one of the highest paid consultants in the country and was retained by companies such as Postal Telegraph, Westinghouse, and American Bell Telephone. He also represented Jesse H. Bunnell on his historic 1881 steel-lever key patent, which became the standard telegraph key pattern used in the U. S. He was frequently hired as an expert witness and was present at some the more important patent cases during the 19th century. Interesting though, he was seldom called to the stand. His presence in the court room as a well known expert, with inflexible honesty, seemed to be all that was needed in some cases. He frequently turned down large retainers if he did not agree with the case. Pope's ability to dissect a topic, explain it in a pleasant and graceful style, and with bell-like clarity, can be characterized as simple brilliance. He made contributions to several technical journals in this country on an array of topics associated with the emerging technologies of the late 19th century. His historical interests are reflected in his comprehensive work documenting the development of the incandescent lamp, and the electric motor. In his articles on the history of the telegraph, he gave special recognition to the contributions of Joseph Henry and Alfred Vail in addition to Samuel Morse. The historical impact of Pope's pen is best illustrated by his contributions to the encyclopedias of that era. On a Sunday evening during heavy rain and strong winds, residents of the city reported flashing as wet branches hit and rested on the power lines. With the lights dimmed in his home, Pope took a lantern that was low on fuel down into the basement to inspect the converters and his meter. 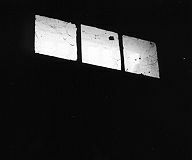 The wind had blown open the basement window allowing rain to dampen the basement floor and the converters, which were mounted two feet away from the window. Pope reached up and closed the window. When pulling his hand away from it, the back of his right hand made contact with a converter and/or the tapped splice that connected the distribution line to the converters. Several people representing a who's who in American telegraph and electrical engineering fields gathered in Great Barrington for Mr.Pope's funeral. Among them was a small contingent of engineers representing the American Institute of Electrical Engineers who were also there to investigate the accident. The investigating group included eminent A.C. power engineers William Stanley Jr. and Edward Weston of Weston Instruments, both good friends of Mr. Pope. The converters were bench tested in Great Barrington by Weston and Stanley where they found a primary lead of one the converters shorted to its case. The day after the accident, Mr. Pope's wife, Amelia, as a show of confidence in her husbands design, ordered their home electric light system repaired and put back into service. Because of the notoriety of Mr. Pope's passing and the subsequent report by the AIEE, new safety and grounding codes were established for the young industry. Left unfinished in his typewriter that Sunday evening, was his article on The Distribution of Electric Power at Niagara. 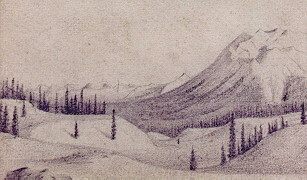 When Mr.Pope was researching the life and career of Joseph Henry in 1878, he wrote: " There is to me a singular fascination in tracing the footsteps of the pioneers of science and discovery; in visiting the places which have been the scenes of their struggles, their disappointments, and their triumphs; in handling the crude and roughly fashioned apparatus, frequently the work of their own not unskillful hands; and in gathering from the lips of eye-witnesses the anecdotes and reminiscences which tell the story of their lives, and work, and studies." My modest attempt in tracking the footsteps of Mr. Pope has led me to the place where his regrettably stopped. His former workshop is located in a dark and dusty corner of a now vacant room in the basement of his beautiful former old home. Underneath the basement window, where he last stood, I can still see by flashlight evidence where those infamous converters were once mounted. With the dust ye tamely tread. Aye, rear it up on its million piers ! I'll clear a single bound ! " A telegraph poem used by Franklin Pope in The Telegrapher, July 15, 1867. 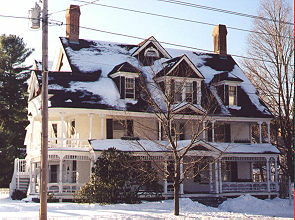 Franklin Pope's former home in Great Barrington, Mass..
Now a bed and breakfast, called The Wainwright Inn. for the opportunity to research and photograph family memorabilia.